Giacomo Puccini was the descendent of a long line of musicians and composers who served his native Lucca, a small city in Tuscany. His great-great grandfather, also named Giacomo, became the organist of the city cathedral in 1793, composing liturgical music as well as dramatic music for public celebrations. Giacomo passed his position down to his son Antonio Benedetto, who inspired musical interest in his son Domenico (Puccini’s grandfather). Domenico studied music in Bologna and Naples, earning serious recognition for his abilities as a composer, before returning to Lucca to take up the position that his grandfather and father had held before him. His son Michele received a more rigorous academic education in music than any of his ancestors had received, then returned to Lucca as Inspector of the Royal Music Institute. Michele and his wife Albina had seven daughters and one son: Giacomo. There was, of course, a public expectation in Lucca that little Giacomo would grow up to take on his father’s responsibilities and continue the family line. With the support of patrons, he made his way to the Conservatory in Milan, but although he returned to Lucca for a time and composed his early operas there, he never took on the inherited position. However, although he left the family tradition behind, Puccini carried his musical lineage with him throughout his life. His full name is a collection of the names of his ancestors: Giacomo Antonio Domenico Michele Secondo Maria Puccini. The company Casa Ricordi was Italy’s predominate publisher of musical scores in the 19th century (and still exists today!). Guilio Ricordi was a major force in shaping Italian musical culture, particularly the public’s taste in opera. Puccini was one of his favorite promising young composers. 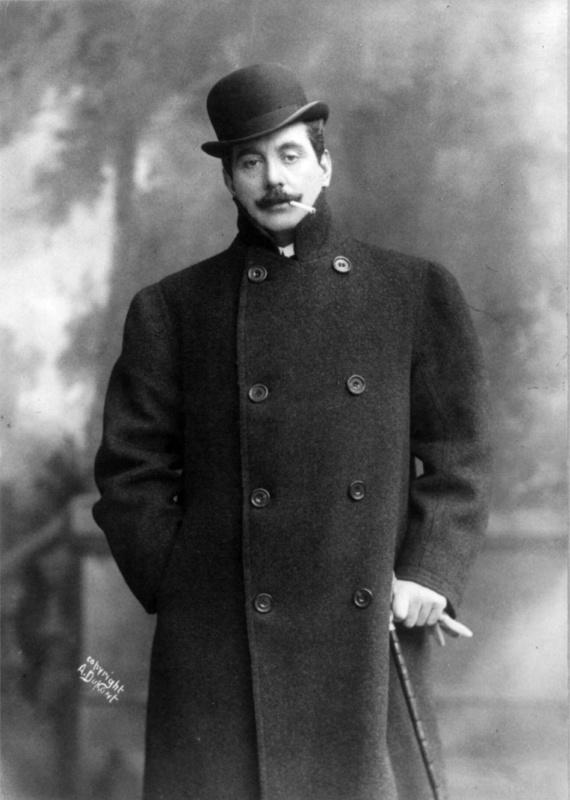 When Edgar, one of the composer’s early operas, bombed at the box office, Ricordi encouraged him to revise and then to re-revise the opera, until Puccini eventually gave up. 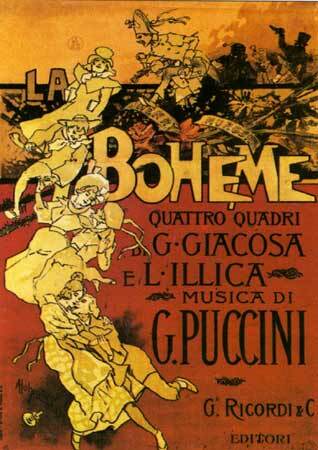 Ricordi then supported Puccini through the three and a half years it took him to compose La Bohème. Perhaps the most important way that Ricordi supported Puccini’s career was how he marketed Puccini’s scores to opera houses. Ricordi created a system in which opera house managers who wanted to purchase the rights to one of Verdi’s incredibly popular operas also had to purchase the rights to an opera by one of Ricordi's less-famous personal favorites -- Puccini chief among them. This two-for-one deal ensured that Puccini’s operas were exposed to a wide audience very quickly. In response to the clear divide between the early, negative critical response to La Bohème and the rapturous enthusiasm of the opera’s first audiences, one insightful critic settled the case this way: “Between the two litigants, I say that the public is right.” Unfortunately, his proposed settlement went unheeded, and the divide between critical/academic opinion and public reception continues to this day. Some of the great composers of the 20th century have joined ranks with the critics, particularly Strauss, Stravinsky, and Webern. Debussy was specifically critical of Puccini’s decision to take on the French subject matter of La Bohème because, in his opinion, an Italian could never understand the true nature of French history and art. And yet despite a century of dismissals by critics and artists, La Bohème remains beloved and has become one of the three or four most-performed operas in the global repertory. Bohemian culture was said to be “a man’s world.” In its art and literature, women often do not exist, or are suspiciously absent beyond their relations to men. The role of the woman in this culture was to provide men with pleasure and creative inspiration. Women were often categorized as either grisettes, working-class women and housekeepers – or lorettes, beautiful in appearance, but incapable of working “real” jobs. Instead, lorettes acted as, for example, models – one of the lowest occupations in the 18th and 19th centuries for women. Characters such as Fantine in Les Misérables and Mimì in La Bohème are considered grisettes. These fun facts were collected in collaborations with students at Emerson College, Shani Brown, Emily Duggan, and Joshua Platt. Bohemian Paris: Culture, Politics, and the Boundaries of Bourgeois Life, 1850-1930, by Jerrold Seigel. Penguin Books, 1987. Book of Musical Anecdotes, The, by Norman Lebrecht. The Free Press. NY, NY, 1985. First Bohemian, The: The Life of Henry Murger, by Robert Baldick. Hamish Hamilton, 1961. Giacomo Puccini: La Bohéme, by Arthur Groos & Roger Parker. Cambridge Opera Handbooks. Press Syndicate of the University of Cambridge, 1986. New Grove Dictionary of Music and Musicians, The, ed. by Stanley Sadie & John Tyrrell. 2nd edition. Oxford University Press, 2004. Entry: ”Puccini, Giacomo,” by Michele Girardi. Operas of Puccini, The, by William Ashbrook. Cornell University Press, 1968. Paris: The Secret History, by Andrew Hussey. Bloomsbury, 2006. Physiologie de la Lorette, by Maurice Alhoy. Ligarian, 2014. Puccini Companion, The, ed. by Simonetta Puccini & Simon Weaver. W.W. Norton & Co., 1994. Entry: “The Puccini Family,” by S. Puccini. Puccini: His Life and Works, by Julian Budden Puccini. Oxford University Press, 2002. 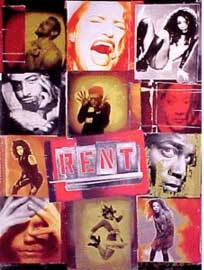 Renting a Queer Space: The Commodification of Queerness in Jonathan Larson's "Rent," by Helen Deborah Lewis. ProQuest Information and Learning Company, 2007. Skeletons from the Opera Closet, by David L. Groover & C.C. Connor. Moyer Bell, 1986.